If you didn’t pick up a copy of the Sunday Times this week, you will have missed quite an interesting article on the sixties by Dominic Sandbrook. 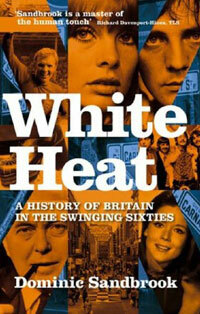 It was taken from his new book called White Heat: A History Of Britain In The Swinging Sixties, which was released at the start of this month. I’ve yet to pick up a copy, but if you have, please add your comment below. The book is available now from Amazon. You can find out more by clicking here.